This post originally appeared on the London School of Economics, Measuring B&HR website as part of their UN Forum Blog Series. Any measurement of progress requires a baseline – determining whether the dial has moved can only be assessed if we know where it was before. Measuring progress over time also requires collecting comparable data by employing the same set of indicators at each measurement. What is true for measuring progress generally also applies to measuring the progress of the implementation of the United Nations Guiding Principles on Business and Human Rights, developed by the Special Representative of the Secretary-General and endorsed by the Human Rights Council in 2011. The Center for Business and Human Rights at New York University’s Stern School of Business has, therefore, been highlighting the importance of developing industry-specific human rights standards and metrics. 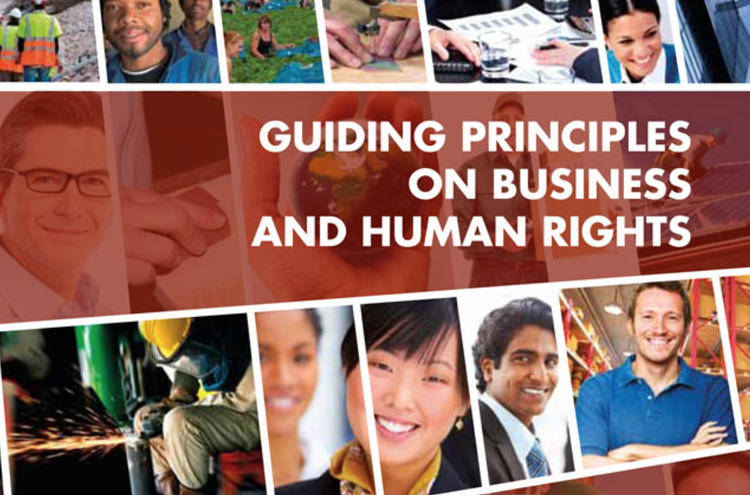 The UN Guiding Principles (known as the UNGPs) have played a very important role in building the foundation for the business and human rights debate. They establish broad principles that now need to be translated into measurable indicators. The UNGPs state that companies have the “responsibility to respect” human rights, and they outline the need for companies to exercise “due diligence.” However, the flexibility built into the UNGPs effectively allows each company to define the focus and process of its own due diligence program. Many companies now say that they are “on a journey” to implement the UNGPs, but they are not applying common standards or generating comparable data. Instead, each of these companies can determine which human rights issues they wish to prioritize and by which indicators they are willing to assess their implementation. For this reason, it is still not possible for consumers or investors to measure the impact of the UNGPs. Companies in the same industry face similar human rights challenges. They should therefore define the same priorities as they address human rights challenges. Agreed upon industry benchmarks clarify what is expected from companies in each sector. If companies, together with other stakeholders, define an industry standard, that standard will help generate industry expertise that will be necessary to translate general standards into measurable indicators. Industry standards measured by the same set of indicators will allow investors and consumers to compare the performance of companies in the same sector and over time. Today, it is hardly possible to tell if, for example, Coca Cola or Pepsi performs better on respecting human rights. Both endorsed the UNGPs in 2011/2012, yet they collect data around different priorities and different sets of indicators. As a result, neither consumers nor investors can currently gauge and differentiate the better performing companies. Industry standards create a level playing field for all companies in a sector and facilitate the implementation process – companies can pool resources and expertise to tackle challenging human rights issues. If extra resources are needed to remedy human rights problems, industry participants have a framework for acting collectively to adjust their business models and practices to help minimize future human rights risks. A few industry-specific multi-stakeholder initiatives have begun to take this approach. In 1999, the Fair Labor Association (FLA) established a common labor standard for their participating companies in the apparel and athletic shoe industries, and now in other industries as well. The FLA has developed metrics to assess compliance against these standards and a public reporting process. The UN Working Group on Business and Human Rights rightly pointed out in a July 2015 report that “businesses may have an adverse impact on every human right, in any country in the world. Yet there is no comprehensive data on the nature, scale or extent of that impact.” The group, therefore, identified measurement of progress as a priority of its mandate. We welcome this focus but see the need for a reinterpretation of the due diligence guideline that could give meaning to key terms like “adverse impacts”. Due diligence must involve companies in the same industry getting together with their peers and other stakeholders to create industry standards from which specific indicators can be derived. Once these standards and metrics are in place, measuring the progress of the UN Guiding Principles can begin in earnest, on an industry-by-industry basis. Older PostNYU Stern Center for Business and Human Rights Says "Trans-Pacific Partnership Is Promising, but Must Prioritize Human Rights as Well as Economic Opportunity"